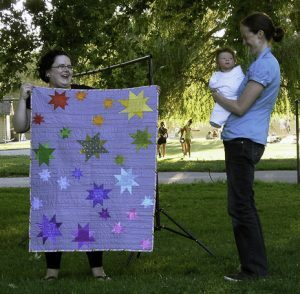 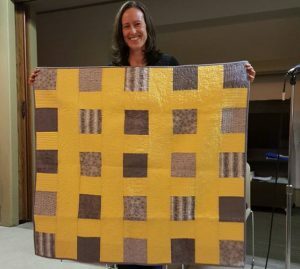 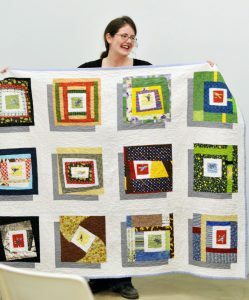 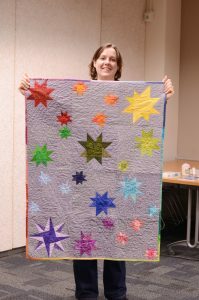 VMQG has endeavored to give baby quilts to all of our members who have had children since the guild began in June 2010. 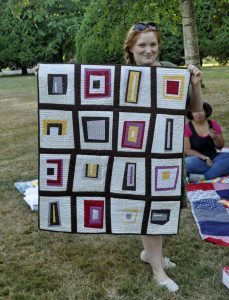 The first recipient was Holly Broadland, our guild founder. 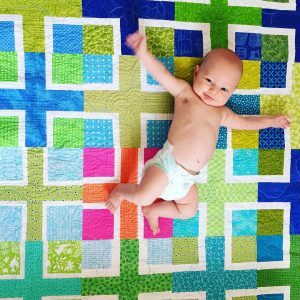 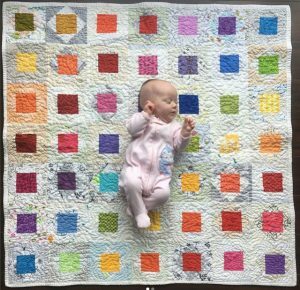 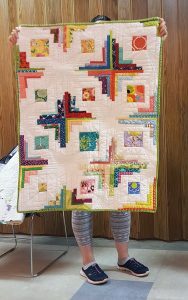 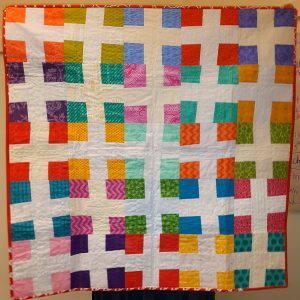 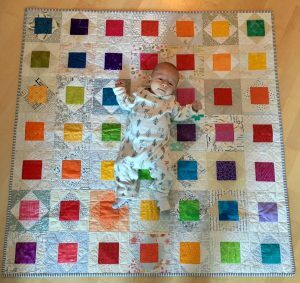 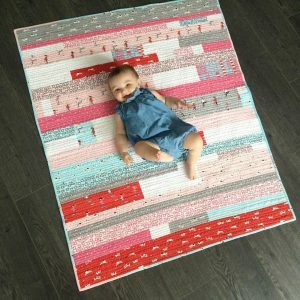 She was given one of our first guild quilts in December 2010 as a combination baby quilt/thank you for everything you’ve done quilt. 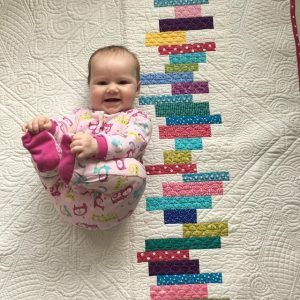 Instructions for the current round of Baby Quilt blocks are available here!